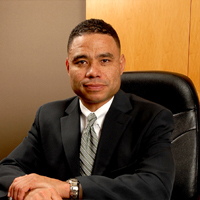 Curtis Holdsworth began his career at the preeminent full service law firm of Greenberg Glusker, where he handled a variety of complex employment, business, and real-estate disputes. In 2003, Mr. Holdsworth founded Holdsworth & Hagopian, during which time he handled numerous employment disputes and complex business cases for private and public companies, including Samsung, Fidelity Investments, AIG, and Copart. In 2010, Mr. Holdsworth joined Lerman & Pointer LLP, which is a boutique employment and business litigation firm comprised of several former Greenberg Glusker attorneys. Mr. Holdsworth is admitted to practice in all state and federal courts in California. He is a member of the State Bar of California, the Labor and Employment Section of the Orange County Bar Association, and the Association of Business Trial Lawyers. Mr. Holdsworth represents publicly traded and privately held companies in all phases of complex litigation, with emphasis on employment defense and business litigation. Mr. Holdsworth’s employment defense and business litigation expertise spans a variety of industries, including retail, manufacturing, automotive, banking and lending, real estate, and professional services. Defended publicly traded and privately held companies in employment disputes involving claims of harassment, discrimination, retaliation, wrongful termination, and failure to accommodate disabilities, as well as wage and hour claims. Prosecuted and defended cases involving unfair business practices, fraud, breach of contract, alter-ego claims, business torts, insurance coverage disputes, and bad faith claims on behalf of a variety of Fortune 500 companies. Managed many high-profile cases for publicly traded clients in federal courts and the complex panel of state courts, including the litigation of complex choice of law and jurisdictional issues.